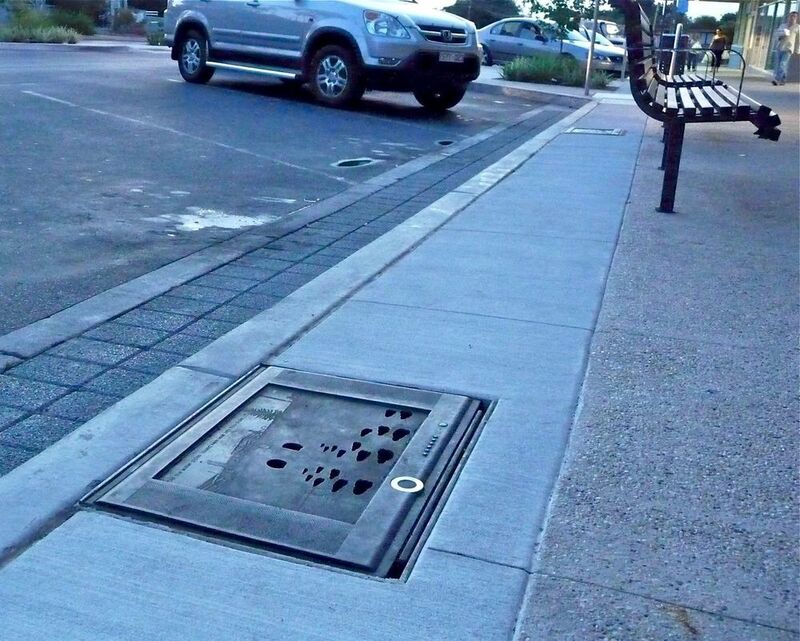 This work is a series of 6 bronze television screens that are storm-water pit lids. The images on the screens are of where the drain empties into Port Phillip Bay 2 km away. Solar powered lights theatrically illuminate the pits at night and the subterranean world of the storm water drains are viewed through voids in the images. Highlighting the unseen and unsung connection between the cities drains and their outfalls into the nearby waterways in a thought provoking way was the intention with this work.